Seth D. Carson is an experienced civil rights litigator representing plaintiffs in employment matters including discrimination and harassment in the workplace. Throughout his career, Seth has handled numerous matters involving race, color and national origin discrimination pursuant to Title VII of the Civil Rights Act of 1964. Seth also has experience litigating sexual harassment claims as well as claims based on sexual orientation for employees within the LGBT community. Recently, Seth has represented numerous Plaintiffs with claims under the Americans with Disabilities Act and the Family Medical Leave Act. During his time at the University of the District of Columbia School of Law, Seth worked with the Cook Crowell Juvenile and Special Education Law Clinic as well as the HIV/AIDS Legal Clinic where Seth provided over 300 hours of pro bono legal services for clients who could not afford the cost of legal representation on their own. 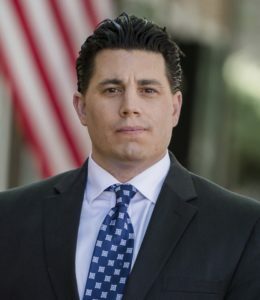 Seth was admitted to practice law in the Commonwealth of Pennsylvania in 2013 and since then has dedicated his career to successfully resolving cases on behalf of Plaintiffs.